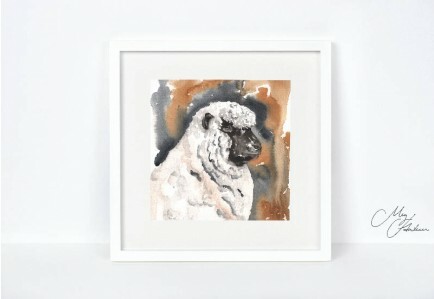 Meg Hawkins unmounted Shropshire Sheep print. 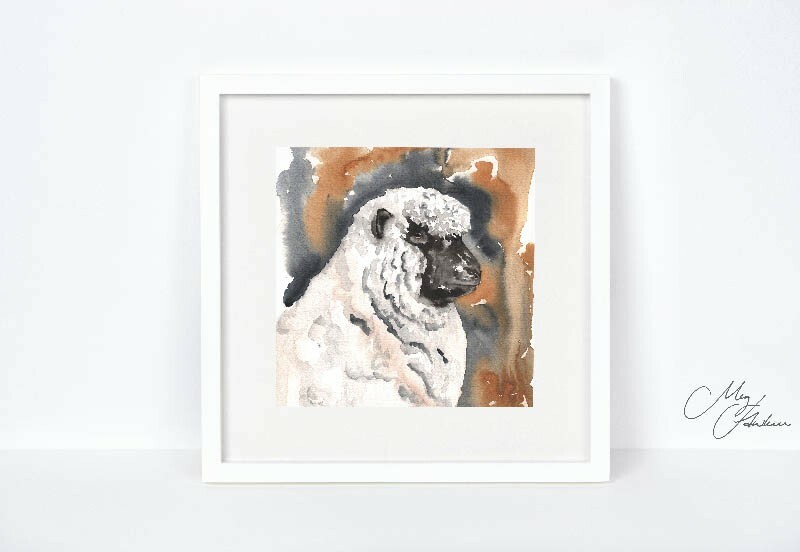 A beautiful unmounted print featuring a Shropshire sheep, originally hand-painted by local Shropshire artist, Meg Hawkins, with the use of Ink and watercolours. 12” x 12”.